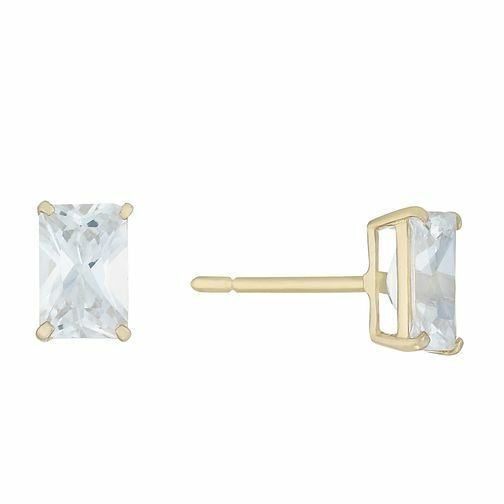 Simple elegance will be yours with these emerald cut cubic zirconia stud earrings. Created using beautiful 9 carat yellow gold these earrings are the perfect addition to your jewellery box essentials. 9ct Yellow Gold Emerald Cut Cubic Zirconia Stud Earrings is rated 5.0 out of 5 by 1.